The Agile Games Conference provides an immersive exploration of serious games at work. 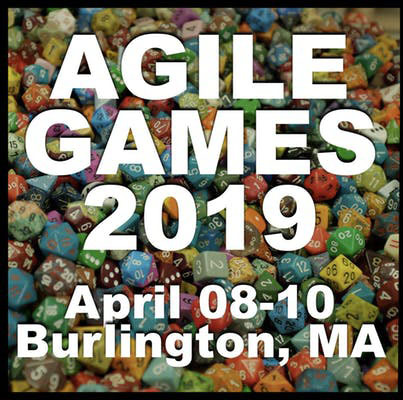 Agile games are activities focused on teaching, demonstrating, and improving organizational agility and effectiveness through games and simulations. Agile games are now a fundamental part of successful Agile transitions. Game on! But can a game really teach me something about being Agile? How can a board game save my team? In this interactive workshop, we'll explore how cooperative board gaming relates to the work of Agile teams. We'll dive head-first into the Agile nature of 'Pandemic' through gameplay in small groups and then retrospect to identify similarities and differences between cooperative board gaming and Agile team behaviors. We'll discover how the patterns observed during gameplay can be used to help identify possible dysfunction within your team. You will leave this session with the ability to use cooperative board gaming with your own teams to inspire new ways of thinking, shift mindsets, and increase team engagement. Chris is a Certified Scrum Professional and practicing Agile Coach at Target. He's been involved in developing software since 2006 as an embedded software developer, project leader, ScrumMaster, and Agile Coach, but has found a 'home' with Scrum and Agile since 2013. Chris has a passion for delivering working software early and often, while coaching his development teams to adopt practices such as XP and CI/CD to delight customers. He enjoys working with Product Owners to help them focus on customer outcomes instead of team output and to truly embrace owning a product. He seeks out opportunities to be a champion of Scrum and Agile values within his organization and mentor other Scrum Masters. Chris currently holds the CSP-SM, CSP-PO, A-CSM, CSM, and CSPO certifications. He works continuously to improve his skills by attending local user groups, reading books and blogs from industry experts, listening to podcasts, and attending webinars. He has been a member of the Scrum Alliance's North American Gathering Team since 2017, responsible for planning the program for the Global Scrum Gatherings, including upcoming Gatherings in Austin (May 2019) and New York (2020). Chris enjoys sailing, golfing, bowling, cheering for the Packers and, most of all, spending time with his wife and two young daughters. He is a graduate of the University of Wisconsin and lives in the Twin Cities.